Great start on a Sunday morning when you know you won’t feel like cookin’ on Sunday evening! 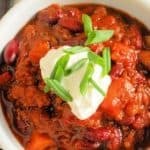 The sweet potatoes add a punch of flavor but can be excluded if you prefer. 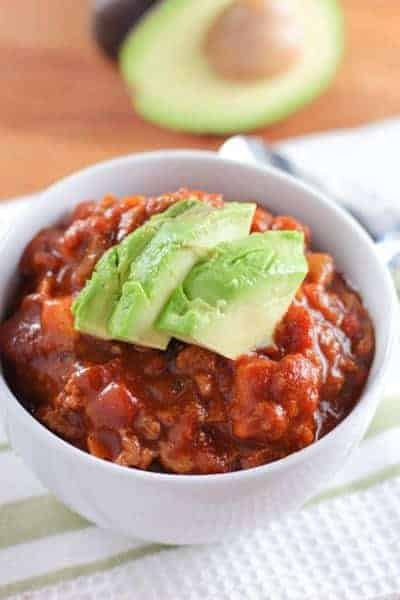 Chili is a dumping ground for your fridge…if you’ve got some carrots, zucchini or most any other vegetable that has seen better days …throw them in the pot! For those of you who like to cook using exact recipe’s this one will work without any changes every time. Basic, flavorful and feeds about 8. I served it with the left over Cheddar Chive Scones…perfect! Still itching to use that slow cooker? Check out my Beef and Barley Soup! 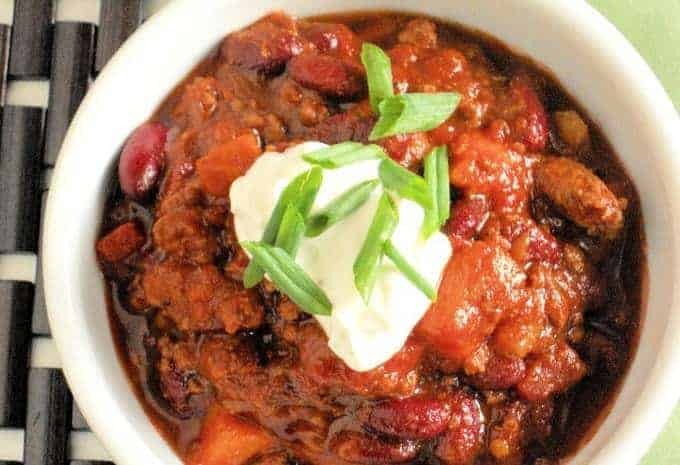 A delicious and healthy chili with sweet potatoes that is cooked easily in your slow cooker! Heat olive oil in large non stick frying pan. Add ground turkey, onion, pepper and jalapeno. Saute until meat is cooked through and vegetables are tender. Pour into crock pot. Add remaining ingredients, stir well and cook on low 5-6 hours. Serve with your favorite toppings...sour cream, grated cheese or over a bed of rice or noodles . and for dessert? How about a one bowl Chocolate Cake with the easiest frosting ever!